SURE offers the SURE members the chance to share their current publications dealing with topics of SURE among the network. 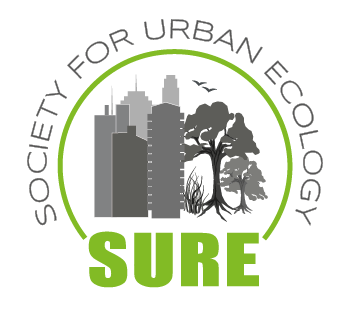 This should help to exchange knowledge and recent findings in the field of urban ecology between each other and to make the research of the SURE members more visible. If you are interested in the SURE Publication Service we would like to ask you to fill the form and send it back to our SURE webmaster who will put the information on the SURE webpage. Bae, S. M., Masud, M.A.K., Kim, J.D. (2018): A Cross-Country Investigation of Corporate Goverance and Corporate Sustainability Disclosure: A Signaling Theory Perspective. In: Sustainability, 2018 10 (8), p. 2611. Han, L., Zhou, W., Pickett, S., Li, W. and Qian Y. (2018): Multicontaminant air pollution in Chinese cities. In: Bulletin of the World Health Organization, 96: 233-242E. Masud, M.A.K., Nurunnabi, M., & Bae, S.M. (2018): The effects of corporate governance on environmental sustainability reporting: empirical evidence from South Asian countries. . In: Asian Journal of Sustainability and Social Responsibility 2018, 3(3), p. 1-26. Masud, M.A.K., Hossain, M.S., & Kim, J.D. (2018): Is Green Regulation Effective or a Failure: Comparative Analysis between Bangladesh Bank (BB) Green Guidelines and Global Reporting Initiative Guidelines. . In: Sustainability, 10 (4), p. 1267. Aina, Y. A. (2017): Achieving Smart Sustainable Cities through GeoICT: The Saudi Evolving Smart Cities. In: Cities, 71, pp. 49-58. Aina, Y. A., Parvez, I. M. and Balogun, A. L. (2017): Examining the effect of land use on the spatiotemporal dynamics of urban temperature in an industrial city: a Landsat imagery analysis. In: Global Changes and Natural Disaster Management: Geo-information Technologies, eds. J. Li and S. Pirasteh, Springer International: Cham, Switzerland, pp. 3-15. Al-Shuwaikhat, H. M., Abubakar, I. R., Aina, Y. A., Adenle, Y. A., Umair, M. (2017): The Development of a GIS-Based Model for Campus Environmental Sustainability Assessment. Sustainability, 9 (3), 439: 1-23. Artmann, M.; Kohler, M.; Meinel, G.; Gan, J.; Ioja, I.-C. (2017): How smart growth and green infrastructure can mutually support each other — A conceptual framework for compact and green cities. In: Ecological Indicators (in press). Guida-Johnson, B., Faggi, A., Zuleta, G. A. (2017): Effects of Urban Sprawl on Riparian Vegetation: Is Compact or Dispersed Urbanization Better for Biodiversity? In: River Research and Applications. DOI: 10.1002/rra.3138. Han L., Zhou W., Li W. and Quian Y. (2017): Global population exposed to fine particulate pollution by population increase and pollution expansion. In: Air Quality, Atmosphere & Health, 10: 1221-1226. Li, Y. F., Qiu, J. H., Zhao, B., Pavao-Zuckerman, M., Bruns, A., Qureshi, S., Zhang, C., Li, Y. (2017): Quantifying urban ecological governance: a suite of indices characterizes the ecological planning implications of rapid coastal urbanization. In: Ecological Indicators, 72, pp. 225-233. Masud, M.A.K., Bae, S.M., & Kim, J.D. (2017): Analysis of Environmental Accounting and Reporting Practices of Listed Banking Companies in Bangladesh. In: Sustainability, 9 (10), p. 1717. Palliwoda, J., Kowarik, I., & von der Lippe, M. (2017): Human-biodiversity interactions in urban parks: The species level matters. In: Landscape and Urban Planning, 157, pp. 394-406. Rall, E., Bieling, C., Zytynska, S., & Haase, D. (2017): Exploring city-wide patterns of cultural ecosystem service perceptions and use. In: Ecological Indicators, 77, pp. 80–95. Tzortzakaki, O., Kati, V., Kassara, C., Tietze, D.T., Giokas, S. (2017): Seasonal patterns of urban bird diversity in a Mediterranean coastal city: the positive role of open green spaces. In: Urban Ecosystems, 02/2017 (vol. 20), pp. 1-13. Botzat, A. Fischer, L. K., & Kowarik, I. (2016): Unexploited opportunities in understanding liveable and biodiverse cities. A review on urban biodiversity perception and valuation. In: Global Environmental Change, 39, pp. 220-233. Fischer, L. K., Eichfeld, J., Kowarik, I., & Buchholz, S. (2016). Disentangling urban habitat and matrix effects on wild bee species. In: PeerJ, 4, e2729. Fischer, L. K., Rodorff, V., von der Lippe, M., & Kowarik, I. (2016): Drivers of biodiversity patterns in parks of a growing South American megacity. 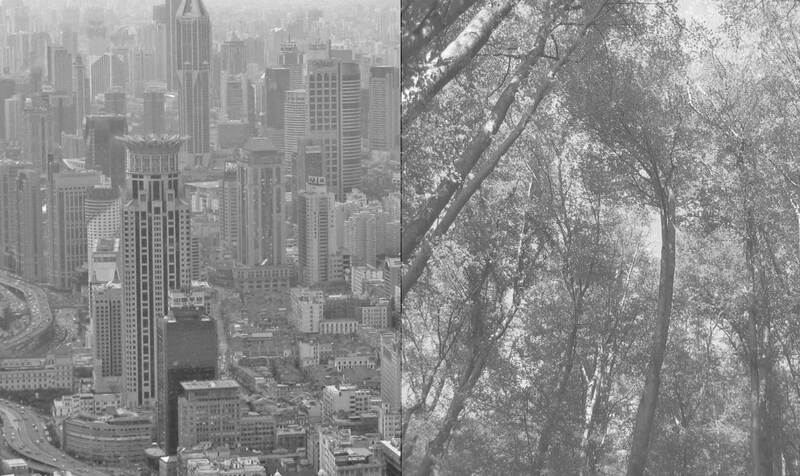 In: Urban Ecosystems, 19, pp. 1231-1249. Gagné, S. A., P. J. Sherman, K. K. Singh, and R. K. Meentemeyer (2016): The effect of human population size on the breeding bird diversity of urban regions. In: Biodiversity and Conservation, 25, pp. 653-671. Han L., Zhou W., and Li W. (2016): Fine particulate (PM2.5) dynamics during rapid urbanization in Beijing, 1973-2013. In: Scientific Reports, 6: 23604. Kowarik, I., Buchholz, S., von der Lippe, M., & Seitz, B. (2016): Biodiversity functions of urban cemeteries: Evidence from one of the largest Jewish cemeteries in Europe. In: Urban Forestry & Urban Greening, 19, pp. 68-78. Li, Y. F., Li, Y., Wu, W. (2016): Threshold and resilience management of coupled urbanization and water environmental system in the rapidly changing coastal region. In: Environmental Pollution, 208, pp. 87-95. Li, Y., Degener, J., Gaudreau, M., Li, Y. F., Kappas, M. (2016): Adaptive capacity based water quality resilience transformation and policy implications in rapidly urbanizing landscapes. In: Science of the Total Environment, 569-570, pp. 168-178. Li, Y. F., Zhang, X. X., Zhao, X. X., Ma, S. Q., Cao, H. H., Cao, J. K. (2016): Assessing spatial vulnerability from rapid urbanization to inform coastal urban regional planning. In: Ocean and Coastal Management, 123, pp. 53-65. Mayer, A. L., B. Buma, A. Davis, S. A. Gagné, E. L. Loudermilk, R. M. Scheller, F. K. A. Schmiegelow, Y. F. Wiersma, and J. Franklin (2016): How landscape ecology informs global land-change science and policy. In: BioScience, 66, pp. 458-469. Säumel, I., Weber, F., & Kowarik, I. (2016): Toward livable and healthy urban streets: Roadside vegetation provides ecosystem services where people live and move. In: Environmental Science & Policy, 62, pp. 24-33. Singh, K. K., S. A. Gagné, and R. K. Meentemeyer (2017, in press): Urban forests and human well-being. In: J. Walsh, editor. Remote sensing applications for societal benefits. Elsevier, New York, USA. Sjöman, H., Morgenroth, J., Sjöman, J. D., Sæbø, A., & Kowarik, I. (2016): Diversification of the urban forest—Can we afford to exclude exotic tree species? In: Urban Forestry & Urban Greening, 18, pp. 237-241. Vierikko, K., Elands, B., Niemelä, J., Andersson, E., Buijs, A., Fischer, L. K.,Haase, D, Kabisch, N., Kowarik, I., Luz, A.C. Olafsson-Stahl, A., Száraz, L., Van der Jagt, A., Konijnendijk van den Bosch, C. (2016): Considering the ways biocultural diversity helps enforce the urban green infrastructure in times of urban transformation. In: Current Opinion in Environmental Sustainability, 22, pp. 7-12.